Paper is the last material that you’d expect to see made into a durable couch, but the Blow Sofa blasts that idea out of the water with its inflatable, 100% recycled paper design. 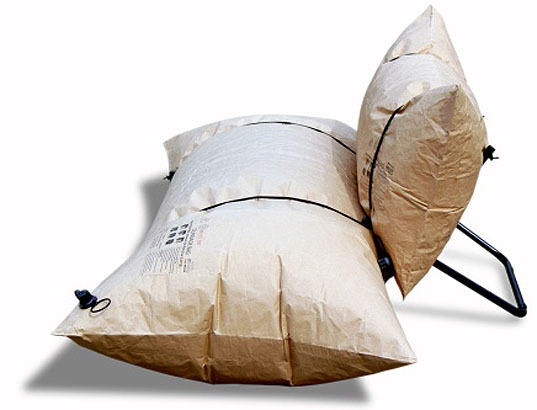 Constructed from heavy-duty recycled paper dunnage bags that can support hundreds of pounds, this funky sofa is easy to transport when flat and simple to inflate. So whether you’re looking to add some character to your living space, or for cool, on-the-go seating for picnics, festivals and the like, here’s one cool solution sure to make heads turn. And while the couch can’t be washed, you can still cover up any stains or spill with pens or markers – phew! Paper is the last material that you'd expect to see made into a durable couch, but the Blow Sofa blasts that idea out of the water with its inflatable, 100% recycled paper design. Constructed from heavy-duty recycled paper dunnage bags that can support hundreds of pounds, this funky sofa is easy to transport when flat and simple to inflate. So whether you're looking to add some character to your living space, or for cool, on-the-go seating for picnics, festivals and the like, here's one cool solution sure to make heads turn. And while the couch can't be washed, you can still cover up any stains or spill with pens or markers - phew!